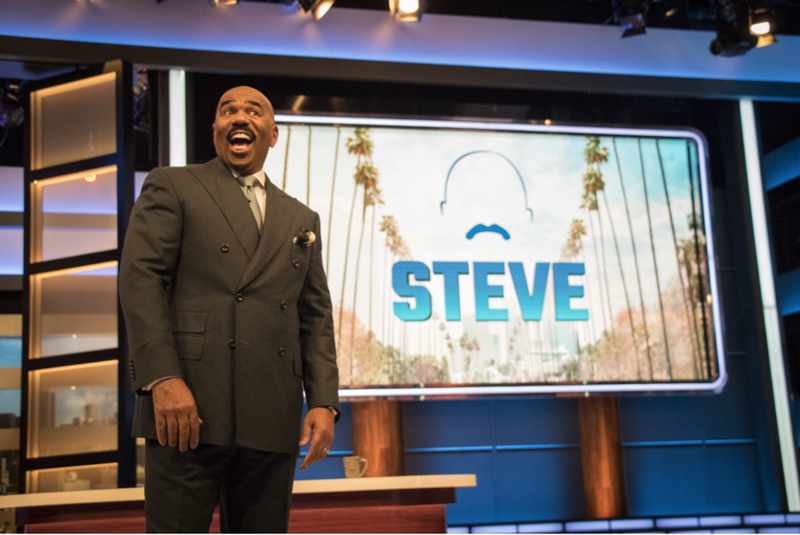 On Sept 5th, Steve Harvey premiered the new version of his talk show, Steve, that moved from Chicago to Los Angeles. The concept behind the new set was to bring a late-night feel to daytime. PBTV provided a 20’ wide x 11.5’ high digiLED iMAG-R 3.2 high resolution LED screen for the set. Harvey uses the impressive screen during interviews with his guests, as it is the central backdrop behind his desk. At other times his desk can slide aside and he uses the screen during guest performances and audience contests. 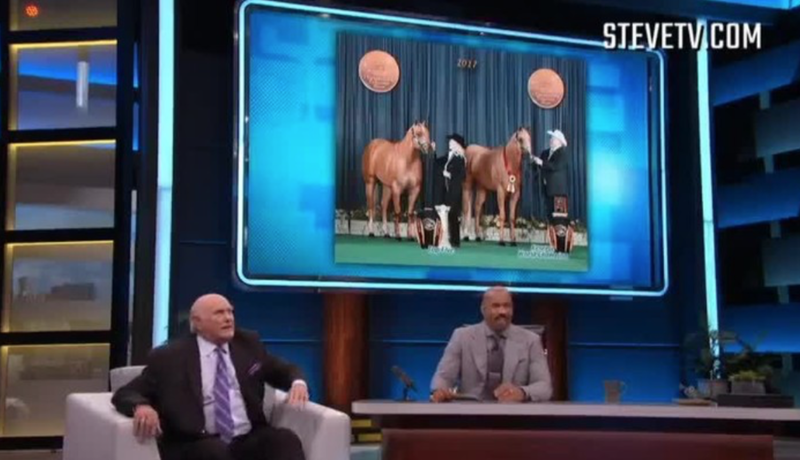 A favorite audience contest segment is his Harvey's Hundreds, where audience members can win a $100 for every matching pair they find on the screen before the buzzer rings!